Sorry for the late post. I actually made this recipe yesterday and took pictures the same day, but then neglected to schedule the post. This was adapted from this recipe from a Year of Slow Cooking. I don't do a lot of chicken in the crockpot because it generally falls apart. This recipe holds its shape long enough to plate and only falls apart when you take a bite. Chicken was super-moist and even appeared to "brown." The secret may be to cook the chicken on high for a shorter period of time, although I will include the low setting cooking time estimates. Mix all ingredients except for chicken in a small bowl with a whisk. 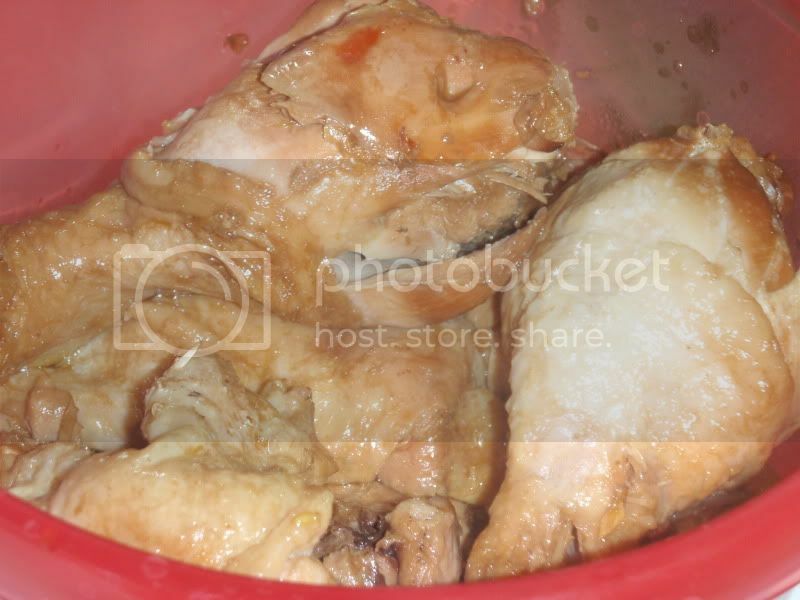 Toss chicken with sauce and layer in slowcooker. Cook on high for 3.5-4 hours or 7-8 on low. Turn the chicken during the last hour of cooking. Serves 3-4 with rice and a veg.